Acid reflux, also called gastroesophageal reflux, develops when the stomach contents flow back into the esophagus. Acid reflux often occurs when the lower esophageal sphincter (LES), a ring of smooth muscle fibers that separates the esophagus from the stomach, spontaneously opens or improperly closes, which allows food and stomach acid to escape into the esophagus. A common cause is that the stomach may not have enough acid to break down and digest the food. This process irritates and inflames the esophageal wall, which finally leads to heartburn and acid reflux. Apple cider vinegar is a natural, homemade, and effective treatment that prevents heartburn and acid reflux. Also, you can try these 30 quick and effective remedies for acid reflux. It is also used to cure many health problems like heartburn, acid reflux, yeast infections, high blood pressure, and skin fungus. It can also be used as a natural skin toner, pH balancer, etc. Here, you can discover how apple cider vinegar helps to treat acid reflux naturally without any side effects. Does Apple Cider Vinegar Help Acid Reflux? Vinegar is acidic in nature, which aids digestion by helping break down the fats, thus preventing acid reflux. The acetic acid in ACV helps for better digestion by virtue of its alkaline-based digestive properties. It balances the pH level of the LES and stomach for the better breakdown of the food and digestion, thus preventing acid reflux. ACV is naturally high in magnesium, phosphorus, potassium, calcium, and other minerals that are help with weight loss and digestion. Drinking ACV supplies the LES valve with the acidity it needs to regain proper functioning. ACV, when taken regularly, will improve digestion and mineral absorption, which plays a major role in reducing acid reflux. ACV not only helps for better digestion but also provides an array of vitamins and trace minerals as well as promotes a more alkaline environment in the body, which helps to destroy harmful bacteria for food to break down and digest properly. 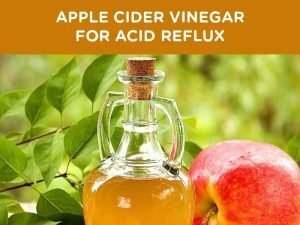 You can use it in any of the following ways, or simply drink a teaspoon of ACV mixed in a cup of water before meals to naturally alleviate heartburn and acid reflux along with its symptoms. Try these methods whenever you suffer heartburn and acid reflux. Mix 2 tablespoons of ACV with 8 0unces of water (either cold or hot). Drink it either before meals or whenever heartburn strikes. You can add honey according to taste. Drink regularly to get relief from heartburn. Or, you can use this as salad dressing or add to smoothies, drinks or in cooking. Note: Do not drink ACV without diluting as it irritates the esophagus and damages tooth enamel. Baking soda will help to neutralize the acid to just 7.0 or close to it when added to ACV before drinking. Otherwise, the acidity will cause dental sensitivity and eventually enamel erosion. ACV and baking soda, when mixed in water, will offer all the nutritional benefits of ACV in a less acidic form. Mix 1/4 teaspoon of baking soda and 2 tablespoons of ACV in 250 mg of water (You can increase the water level as per your taste). Stir well and drink it 2 to 3 times a day on empty stomach for at least 5 days to get relief from acid reflux. For sever acid reflux, mix 2 tablespoons of baking soda with 2 tablespoons of ACV in a glass of water and drink it 2 – 3 times a day. Honey cures acid reflux as it is high in potassium that helps to neutralize stomach acids. Mix 2 tablespoons each of apple cider vinegar and honey. Sip this to alleviate the symptoms of acid reflux. Drink this mixture whenever you suffer from heartburn or acid reflux. ACV that is raw, organic, unfiltered, unheated, and unpasteurized contains the cloudy mother enzyme, which contains a high number of nutrients and is always recommended for acid reflux prevention. Make sure to drink it by diluting 2 teaspoons of ACV in 8 oz of water. It helps to treat acid reflux very effectively. You can buy Bragg Apple Cider Vinegar or any brand of ACV that contains mother. White distilled vinegar that is made from grain and diluted with water contains 5% acidity, which helps to break down the food and aids in better digestion, offering relief from acid reflux. Add a teaspoon to a tablespoon of white vinegar to a cup of water. Mix it well and drink it to get relief from acid reflux. Drink whenever you have heartburn. Or, Mix white vinegar into juices, smoothies, salad dressings, or any other food items of your choice. You have to follow these points while using ACV to cure acid reflux without any problems. Drink ACV with a straw because it is high in acidic nature damages the enamel. Don’t forget to swish your mouth with water after drinking it. ACV may interact with some prescription medications like diuretics, laxatives, heart disease medications, diabetes drugs, etc. It also worsen an ulcer problem. Avoid ACV to treat acid reflux if you’re suffering from any of these problems. Avoid caffeinated beverages that weaken the LES muscle. Avoid Foods like tomatoes, citrus, peppers, etc which irritates the esophagus. Avoid drinking alcohol and quit smoking to get complete relief from heartburn and acid reflux. Do you know any other remedies or methods of using vinegar to treat acid reflux? Share your experience with us. Yes, ACV is good for treating acid reflux. But if you are experiencing stomach pain with acid reflux then we wouldn’t recommend it as it can increase the pain. The pain might be caused due to any open sores or other which can worsen with ACV consumption. Short answer is Yes. What I do is dilute 1/4c of Apple Cider Vinegar with a little water and then add a teaspoon of pure unpasteurized honey. This has helped me immensely. You can add more water if you want. My former doctor was a real pill pusher and I should have sued him for compromising my health with unnecessary drugs. Doctors are supposed to be healers….what a load of BS. Most are pill pushers who have no time to devote to their patients in this country. I have friends and family in London, who get the finest care from doctors and don’t have to wait for appointments. As the wealthiest nation on Earth, it’s That we had National Health for all.. Instead the powers that be would rather spend trillions of $ on ware fare. corruption abounds! I’ve recently stopped taking Nexium after being on this for about two years. Everytime I try to stop it I have horrible heartburn. I also have not had a voice since I started the Nexium. Another good reason to stop. So now I am drinking the ACV prior to meals, watching what I eat and still have pain. Not horrible, but it’s annoying. Stopped drinking alcohol, except for white wine over several ice cubes. How long does it take before I notice improvement. It’s been about 1 week since I started the ACV. I have this unbearable poking pain in my chest, doctors said I have acid and I am tired of taking pills. Is it ok for me to take apple cider with baking soda. Please help there is anything else to take. Yes, that is enough to treat the acid reflux. Is apple venegar is ACV?? I looked in many stores for ACV but they show me Apple Venegar. Im living in South korea and Im having heart burn problem. Apple vinegar and Apple cider vinegar are the same. So, you can buy apple vinegar and try it to reduce acid reflux. ACV means Apple Cider Vinegar and Braggs is the best brand with nutrients that haven’t been destroyed in processing. Can you get brag acv in South Africa ? Can you please provide us more symptoms to exactly understand what your problem is. A friend told me to try squeezing lemon juice (from the actual lemon, not concentrated lemon juice) in a glass of water and drink it when you get up in the morning. This is my third day trying it and I did get some relief. Has anyone ever heard of that? I am just tired of taking medication. It seems like I am allergic to all of the medications that were prescribed to me (nexium, omeprazole, famotidine, sucralfate, tums and the list goes on. i am suffering from stomach pain (below the chest) from last 7-8 months. I did all heart related tests and EKG several times. They all came fine but this keeps bothering me as its going on from long. Some times this pain rotates in different regions like arm, shoulder and chest. Antacids are not working for me most of the time. I feel good in morning without pain but it gets worse as the day passes with meals. Sometimes, i get relief after eating and sometimes it gets worse. There is no specific food for this. I am eating rice almost daily but still sometimes i get better and sometimes it gets worse. I started ACV today empty stomach, So far not much difference. How much time its going to take to work ? Anything else you can suggest here. You should see improvement in few days but if it doesn’t then try any other process mentioned in this article – http://homeremediesforlife.com/acid-reflux/. Apart from that, eat a banana after your meal, drink plenty of water, exercise regularly, reduce stress levels and eat smaller meals more frequently. I have acid reflux from last 2 month i did my ecg,indoscopy,x ray ,breath test every thing is normal even though i am using medication i am really fedup from medicine please suggest me what can i do to get rid from this acid reflux. When ever i take diet on time its not coming but when ever i have 3 to 4 hrs gap its making me worst. Acidity is usually caused due to less acid presence in the stomach. Apple cider vinegar helps to balance the pH levels and aids in digestion by breaking down the fats. So, try any process mentioned above to treat and prevent acid relfux. Add 2 tablespoons of apple cider vinegar into 8 ounces of water. Mix well and drink it after meals. Repeat the process once or twice in a day. This may help you treat the problem. Are the apple cider vinegar tablets as effective for reflux? I’m going to try and wean myself ff nexium and am looking for help as the rebound off the nexium is awful. I’m not a big fan of the taste of the liquid so wanted to see if I could take the tablets instead? Yes, you can take apple cider vinegar tablets for treating acid reflux. However for proper dosage as per your health condition we recommend consulting a doctor. For last 3 months I am suffering from dry throat and bitter mouth. Burping after eating and drinking. No stomach pain Dr gave me different antacids. Presently using famodar 20 two times daily. The symptoms improved well. But some times again irritating the tongue. ACV can be used for complete cure? Try the ACV method, if it is giving you relief then continue it. If not then try any other remedy. I have a friend who has been take ACV for a few weeks. She has not had heart burn for several years. After starting the ACV, she is now having heart burn again. What does that mean, and what can she do to be able to still get the benefits of ACV? If she has taken high concentrate of ACV then it might have caused heart burn. So, we recommend diluting it with water. Start with smaller quantities like 1/2 teaspoon and slowly increase to recommended quantity. This will not cause any heart burn or other discomforts. I am suffering from acid reflux and heart burn , sometimes my BP (High) has 160/100 other wise normally my BP is 130/90. Please suggest ACV is suitable for me and how to take doses and when (After Lunch/Dinner/B.fast) ? You can try 1st method mentioned in the above article. You have to take it before having meals or whenever you experience a heartburn. I have been using Omeprazole for 7 years. Tried going off them cold turkey but the pain was unbearable. So, I’ve been weaning myself off of it by opening up the capsule and discarding amounts slowly. I’m down to 5 mg or 1/4 of the caplet contents. I also started drinking ACV mixed with half a lime juiced mixed in a glass of warm water every morning right after the reduced omeprazole. I’ve been doing this for 5 weeks. It’s working!! At first I was a little gassy and my stomach felt a little unsettled but that only lasted a few days. At this point I have no symptoms of acid reflux. How long do I need to continue drinking this mixture to have a complete cure or is it something I will have to continue for a long period? If you have achieve complete relief from acid reflux then you can stop it. You can take it again if hits backs. But if you want to try it for a longer period of time then you can do it. Because it doesn’t have any side effects and in fact it helps to stay healthy. I was suffering from acid reflux and Tried ACV and it really helped. The taste was a little bitter so I mix a teaspoon of honey in it. Your article really helped. Thanks. Used anti acids proton inhabitors like pentaprazole,, etc but nothing changed. I just took 1-2 table spoon of apple cider diluted in water 10mins before meals. Trust me by the grace iof God it is gone. Too and it is gone due to good digestion.using it. And yes i used it for 20 days only. Is it ok to take ACV if you have mild bile reflux , gastritos and intestinal metasplasia? I have some mild bile reflux and some intestinal metaplasia. 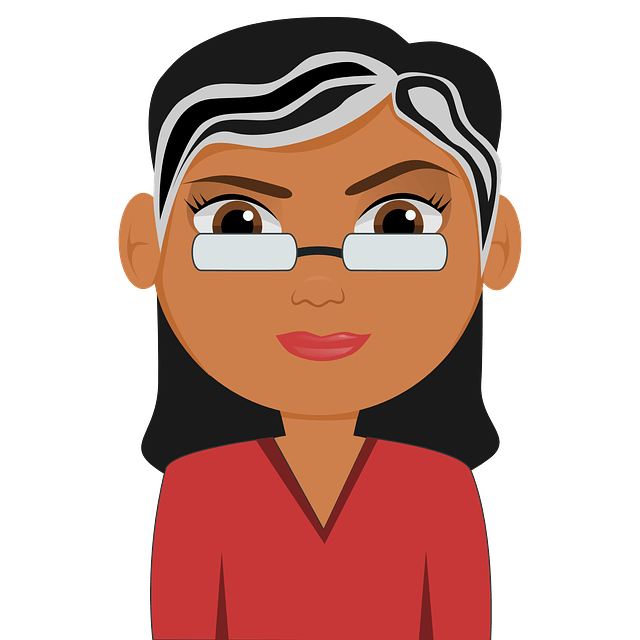 Can i take ACV to help with the reflux or will it upset the metasplasia?